The snook fishing has also been good in the Jupiter area along the Intracoastal Waterway all the way to the inlet where they are spawning. Anglers working the dock lights and mangroves in the ICW are having good luck. Best baits have been live shrimp and mullet. Though great to catch, it’s still catch and release until the season opens back up Sept. 1. Around the Boynton Inlet the water has been extremely clear and there have been lots of spotted eagle rays, cownose rays, tarpon, snook and mangrove snapper. The tarpon are mostly cruising the sandbars and the snook, some of which are huge, are hanging out in the area between the beach and the sandbars. In the ICW, at the docks in Lantana, massive tarpon between 90 and 150 pounds have been lurking and picking up free meals as anglers clean their catches. There have also been big jack crevalle in the area. They’re feasting in the mornings on the small baitfish near the Lantana Bridge and putting on quite the show as they pin them against the seawall. 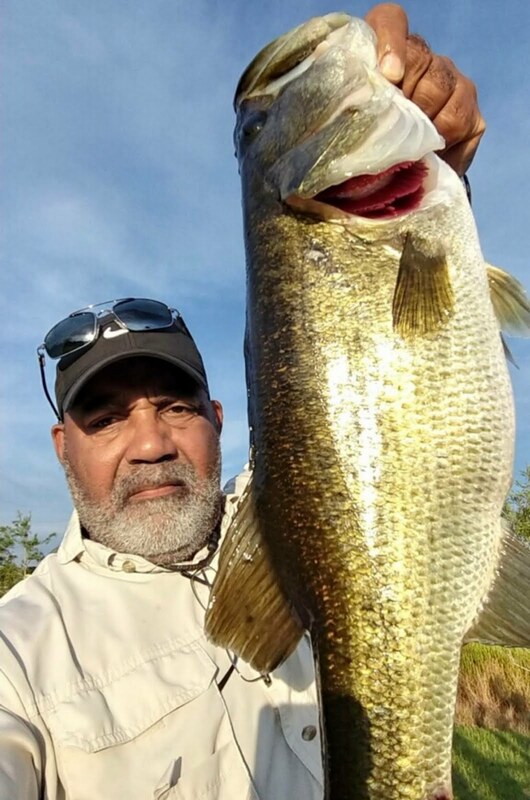 On the lake, the bass bite is still excellent. The shad are spawning right now and it’s ramping up the action. From dawn until about 7:30 a.m. swim jigs and spinner baits are the way to go. After that pitching a jig with a three-quarter-ounce weight in the round reeds has produced good results. Hot spots have been King’s Bar, Buckhead Ridge and Indian Prairie. Though the bluegill and shellcrackers are still biting, it’s mostly in the canals. Best bets for baits are red worms and crickets. Catching A Spillway Giant! How Icast in 2018!